The form shifting DNA pokemon, Deoxy will be arriving for Ex Raid Battles. 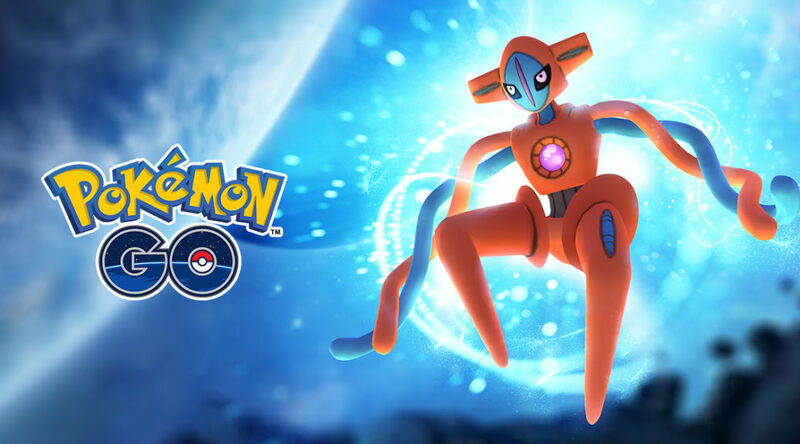 Players will be able to take on Deoxys in its Normal Forme in the next cycle of EX Raid invitations. So train up and be prepared trainers. It’s time to prepare for a new challenge from a powerful Mythical Pokémon originally discovered in the Hoenn region! The DNA Pokémon, Deoxys, will arrive for EX Raid Battles. This Psychic-type Mythical Pokémon will be available to challenge in its Normal Forme beginning with the next cycle of EX Raid invitations. Are you new to EX Raids? You can become eligible to receive an EX Raid Pass when you win a Raid Battle at a qualifying Gym. And from now on, you’ll be able to see which Gyms can host an EX Raid through a handy tag when you look at the Gym details. EX Raid Passes will give you the date and time when you’ll be able to challenge Deoxys, so mark your calendar and prepare your Pokémon for an epic battle! Battling Deoxys will be a difficult challenge that requires Trainers to take advantage of every opportunity—and maybe get a little help from a friend! From now on, when you receive an EX Raid Pass, you will be able to invite one friend to go with you! Keep in mind that invites can only be sent to an Ultra Friend or Best Friend, so don’t forget to battle with friends, send Gifts, and trade Pokémon to build up your Friendship level. Do you have what it takes? Best of luck, Trainer—Deoxys Normal Forme is waiting!